The problem I’m thinking of in this case is monitoring the network right out to the user edge in a cost-effective manner. Network performance monitoring platforms tend to be network-centric, looking at port statistics and reachability from the monitoring platform to the access switch. Application performance monitoring tools often monitor from a single, central point of the network either generating transactions or trying to intercept user transactions and interpolate performance characteristics while deriving performance stats. Each of these solutions can have a place, but neither one really gives you a view from the ground. Existing options to get a user-like view that really comes from the edges of your network (where the users are, after all) are very limited. Enter NetBeez, with a very simple premise: Monitor from the edge. Every edge. Wired edges. Wireless edges. From the user’s perspective. And use a central, or cloud-based, dashboard to monitor and manage it all. 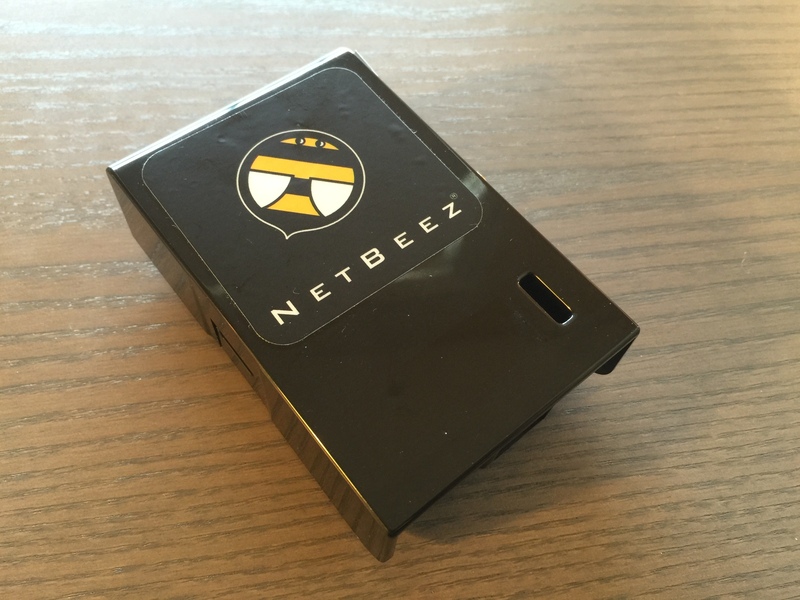 NetBeez, a startup out of the Pittsburgh, PA area incubated at the AlphaLab startup-accelerator by alumni from Carnegie Mellon University and University of Pittsburgh, took advantage of the push in low-power, low-cost computing devices like the Raspberry Pi, to turn the network performance monitoring concept on its head. Literally. 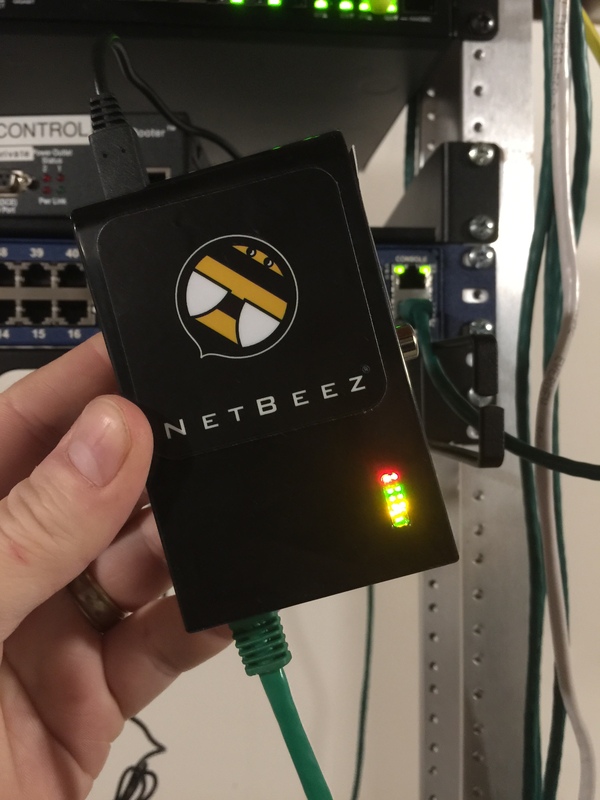 NetBeez monitoring agents (called Beez) are placed at the very edge of the network on wired ports or connected to wireless networks. The physical agents are tiny boxes with low power requirements and no local interaction required. During the NFD9 presentation, we discussed some possible improvements of the physical form factor with the NetBeez team, but clearly the current design is functional and NetBeez was able to rapidly get their product to market by using off-the-shelf hardware components. The magic of the Beez are in the mangement. Once Beez are connected to the network, they simply pick up a DHCP address and phone home to the cloud-based dashboard where they immediately show up. Alternatively, the Beez can be pointed to an on-premises server virtual appliance if you prefer not to use the cloud-based dashboard, however the cloud dashboard of course has a few nice advantages including the notion that if your main site with the server were to be disconnected from the others, it wouldn’t appear like every agent had gone offline. Additionally, the cloud-based service allows monitoring of sites that may not have reachability to each other. I envision (and see in practice occasionally) small businesses that are very SaaS-centric where two or more offices don’t actually have to have secure connectivity to each other, as they use cloud-based services for communication and collaboration. In this type of situation, the cloud dashboard is an obvious choice. Stefano does a better job of walking through the dashboard than I could with screenshots, but I’ll throw in my two cents on the experience. The UI is clean and snappy (and free of client-side Java or Flash components!). There’s a means to assign Beez with groups (like tags almost) which your view can be filtered to. There’s presently no way to restrict a user’s view to only certain groups, but hopefully that will get addressed in a future release. They’re also lacking directory integration or third-party authentication support (LDAP/RADIUS/etc), which could make user setup for a large population of admins (think a retail chain or the like) rather tedious. Again, an opportunity for future enhancement. Setup was very simple. I plugged my trial Bee in, and by the time I got back upstairs to my desk, it had appeared in the dashboard. Boot time is on the order of 60 seconds. The device has a watchdog service that reboots it if it can’t find the programmed server to eliminate “oops” situations were there a random software problem. We we discuss in the videos above, I think PoE and a simplified physical form factor would be a huge enhancement for the product. Presently, the testing options are pretty basic. Ping, trace route, HTTP/HTTPS GET, and DNS queries. No synthetic transactions yet, but the NetBeez team indicated they are on the way. Keep in mind, though, that NetBeez are not particularly meant to be testing performance of the end application, but instead providing some degree of visibility into the experience users are seeing from where they are. Surely, synthetic web app transactions will be a very nice addition when they arrive and app performance at the transaction level could certainly vary based on test location, but even just seeing that suddenly an agent at remote site X or in IDF Y is seeing slow request times for the entry portal into the company CRM system and at the same time the trace route path has changed would provide a ton of insight into troubleshooting. Hopefully those will get beefed up in the future as well, perhaps with an action link to let you click and get right to the offending agent/test in the dashboard for review. Perhaps another link could be used to instantly acknowledge/suppress the alert in case it’s a known condition. I found the email alerts to be generated promptly, and they indicated both alerts and cleared states. 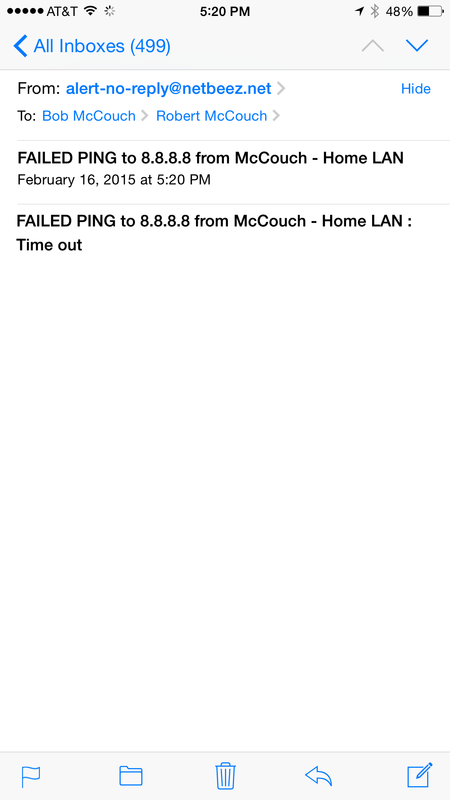 I was surprised that no alert email was generated when the Beez themselves go offline, only when tests they are reporting fail. So while the Beez can help determine if connectivity from a remote location is spotty, they don’t help you learn that the remote location/IDF/switch is actually offline. Again, this makes some sense as the point of NetBeez isn’t necessarily monitoring the infrastructure of a remote site (the “is the site online?” question), but rather what the users at that site can do to get out to the world. Still, it would be a nice nerd-knob to have. [UPDATE]: Stefano emailed me to let me know that there actually is a field in the main dashboard settings for your NetBeez instance where email targets for alerts on up/down events of the Beez themselves will be sent. So this function is present, it’s just not incredibly obvious at first glance. I probably should have RTFM. 😉 Thanks, Stefano! So, based on the videos and my feedback above, NetBeez can fill a roadmap from here to Mars with enhancements. But the fact of the matter is, they work right now. And the concept is absolutely solid: deploy a small (eventually large!) army of inexpensive probes to every edge of the network and gain visibility into network availability and performance from the perspective of the ultimate judges, the users. Cover every ingress point into the network with telemetry agents, e.g., Beez. Memes aside, I was very excited by the presentation that the NetBeez team gave to the NFD9 delegates and despite our peppering them with “does it do this?” questions, they were great sports about all the feedback we “offered.” In fact, by the next day, Stefano had personally replied to us all recapping the feature requests and feedback we provided. This is very encouraging as it indicates NetBeez is listening to their customers and prospects and eager to enhance their product. Is NetBeez a fit for your environment today? It certainly could be if you’re looking for simple, straightforward, lightweight monitoring of the on-the-ground user experience. Even if you’re looking for lots of bells and whistles, I recommend keeping a close eye on NetBeez as I really think they’re on to something. NetBeez was a sponsor of Networking Field Day 9, and as such indirectly helped to pay expenses associated with my attendance. Additionally, NetBeez provided me with some promotional gifts: a branded T-shirt and a NetBeez agent for evaluation. At no time did they ask for, nor where they promised any kind of consideration in the writing of this review. The opinions and analysis provided within are my own and any errors or omissions are mine and mine alone. For Europeans, please note a alternative solution on the same idea that I launched at the end of 2014.